For most of you, the next big life step is attending business school. 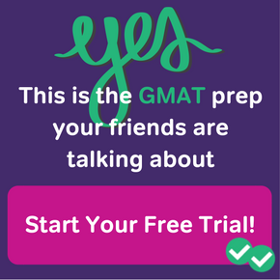 And while we know our way around the GMAT test, we unfortunately don’t know a whole lot about MBA admissions. So we thought we’d ask the pros–the very people who’ll be reviewing your MBA applications–to share their tips and words of wisdom to guide you in the admissions process :). First up is this interview with Claire Gumus, Assistant Director of Full-time MBA Recruitment & Admissions at the prestigious University of Toronto Rotman School of Management. I hope you enjoy her wealth of advice! Q: In all your years in admissions, what kinds of essays have stuck out to you as memorable, and why were they so memorable? A: When you look at the essay questions, they tend to be similar however every business school is looking for something different as the program offerings are different. The candidates, who do their research well, always submit the best essays. Those are the ones who have shown due diligence; they attend events-online or on campus, they speak with student ambassadors. They know the website very well and they tailor their essays as per our program as opposed using stock answers. We can see that they want to come to Rotman because they know what the school offers and they found a fit. Q: What type of student or person do you think would really thrive at the Rotman School of Management? A: Any student who is open minded and ready to work hard would thrive! We have a very challenging program at Rotman and we are looking for individuals who are intellectually curious. Intellectual horsepower is very important for us; we would like to see individuals who are committed to life-long learning. We value their professional experience and we would like them to share their experience with their peers. Peer learning and team works are a big part of this program and we expect our students to respect their classmates and what they bring to the table. Our program is extremely diverse; 49% international and both academic and professional backgrounds of our students vary. We would like to see them fully engaged in the program both in class and extracurricular-wise. Most of the time candidates still wonder if they need a commerce degree or management related experience to get into an MBA program, for our MBA program, we are looking for candidates with diverse professional and academic backgrounds. When you look at our class profile, we have students with life sciences, engineering, education, social sciences and economics education. When we look at the industries, they worked in anywhere from health care to manufacturing, consulting, law or not for profit. When I think about all the networking events, speaker series and assignments happening at the same time throughout the program, I’d say solid time management is essential. Aside from hard skills, we are looking for candidates with good people skills and self-management. We are looking for candidates who have strong interpersonal and communication skills. They should be comfortable with approaching a senior level person and start a conversation. Self-representation is very important. Both our career coaches and Self-Development Lab help students enhance their soft skills such as public speaking, executive presence and core messaging. Another value we look for in an ideal candidate is a solid view on giving back to the community. Student clubs are important and we want to foster a community understanding, therefore our students start helping each other the moment they are in the program. It’s great to see how they continue once they graduate and become happy alumni. I’d like to discuss the video essay component here a little bit. We incorporated this into our application process last year. So far we have received outstanding feedback from both candidates and other business schools. I’d say focusing on the video essay is equally important as focusing on any other component of the application. It’s a great venue for our candidates to differentiate themselves from the rest of the pool. For instance some of the candidates prepare props in the background to show their enthusiasm about the Rotman School-this is very smart. So far, the candidates have done a great job of giving the Admissions Committee additional information about their candidacy, things that they couldn’t discuss in their essays. 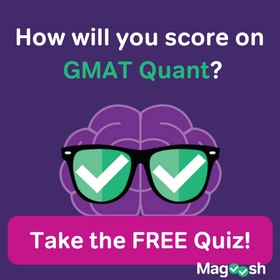 Q: How important is the GMAT score, compared to other parts of the application, when it comes to getting into the Rotman School of Management? A: It’s one of the components in the admissions process. It wouldn’t be fair to say that it’s more important or less important than the other components. We have six components; work experience, essays-written and video, references, GMAT, GPA and admissions interview. We look at an application as a whole package. An ideal candidate is someone with a healthy combination of technical and soft skills. 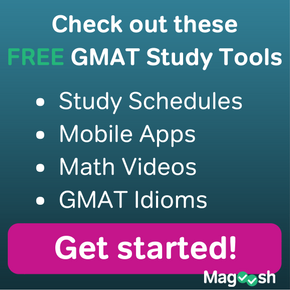 Most of the time, candidates are under the impression that having a very high GMAT score would be key to a scholarship. Unfortunately this is a myth. This is not the case at the Rotman School. Being well-rounded is very important. Once a candidate is invited to an admissions interview, it means so far they have a competitive application. The admissions interview is a great venue for them to showcase their soft skills such as interpersonal skills, maturity and communications skills. Aforementioned, a healthy combination of technical and soft skills is really the admissions committee is looking for. Q: The fact is business school is expensive! So what would you recommend to students who want to attend Rotman but have financial hindrances? A: I’d recommend exploring our loan programs in-depth. We work with two banks; Bank of Montreal (BMO) and Royal Bank of Canada (RBC). International students who do not have a Canadian co-signer can work with RBC. Both banks offer interest-free loans. I wouldn’t recommend counting on a possible scholarship for funding your MBA. Scholarships are not guaranteed and every year the applicant pool changes. Scholarships are offered based on the competitiveness of your application against the pool. Before submitting your application, it is very important for you to crunch the numbers and make sure you have enough funding. If you get a scholarship, that would be bonus-something extra to celebrate aside from your acceptance letter! Schools have extensive information on their websites with regards to tuition fees, living expenses and possible financial aid options. I’d recommend reading the information thoroughly. For Rotman School, more info about fees and expenses and financial aid can easily be found online. We have no preference, as long as they submit a valid GRE or GMAT score, we will accept the score. For the GMAT, we are able to come up with a class average (674 for the Class of 2015-highest in Canada) given the volume of test scores we receive. However for the GRE, we are unable to provide an average due to the lesser volume. Both tests measure quantitative and qualitative skills required to succeed in the program. Q: What’s the overall theme that you’d like applicants to Rotman MBA to communicate in their applications? A: We would like our candidates demonstrate self-awareness, maturity, emotional intelligence and adaptability. Overall fit is very important. I recommend they are well-researched and figure out their own strengths and weaknesses and see how our program can help them improve. Just like in a job interview, they should build a case to defend their candidacy. We have a competitive program and diversity is very important, we would like to see how they differentiate their candidacy from others. As mentioned, peer learning is a big part of the learning process and only they can describe what is unique about their profile and what their classmates can learn from them. Q: It’s pretty common for international students to face language and culture barriers when they’re applying to schools outside of their homeland. So do you have any tips for students outside of Canada who’re applying to Rotman MBA? A: They can start reading business books, magazines, journals in English to become familiar with the jargon. Also, watching the news and movies would help them as well. Practicing their oral communications skills as much as they would also help them. If they can arrive in Canada before the start of the program and take the Pre-MBA Program, they will definitely have an easier transition into our rigorous MBA program at Rotman. We also encourage them to hang out with native English speakers or other international students throughout the program. If they stick with their own community, unfortunately they cannot improve their language skills or expose themselves to the culture in Canada. Q: What’s one final piece of advice you’d like to share with every Rotman MBA applicant? A: I’d encourage them to speak with our student ambassadors to learn from their experience during their decision making process. Basing their decisions solely on the rankings or the tuition fee is a short-sighted strategy. They will carry the brand of their MBA degree for the rest of their lives, it’s such a big investment of time, money and energy, therefore in order to make an informed decision, and they should speak with like-minded individuals in the program. Fit cannot be emphasized enough, they should make sure the business school they are choosing offers what they are looking for and they will enjoy the culture. Every business school has something unique to offer and that offering may not fulfill their needs but if they make decisions based on stats, they may not find the best fit. Let us know in the comments below if there are any questions you’d like us to ask the Adcoms!